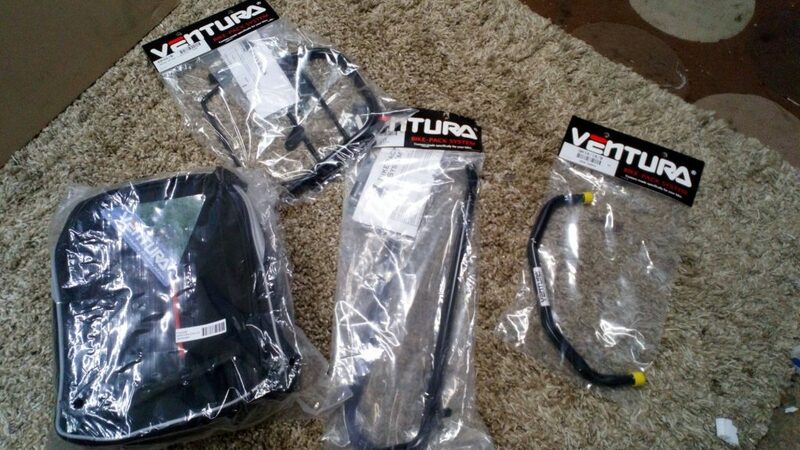 Ventura has introduced a new mid-size pack for its updated EVO-Rack system. The EVO-22 has an innovative pocket fastening system in its base, so it slides onto the EVO-Rack and is held securely in place with two quick-release buckles. Two carry handles make it easy to grab and there’s a shoulder strap too. Inside are pockets to keep keys, wallet and tickets handy. Double sliders on the zips allow for swift access and the main compartment zipper is lockable. Reflective safety piping and panels boost visibility in the dark. The new soft luggage option from Ventura is much less ‘visible’ to its predecessors! 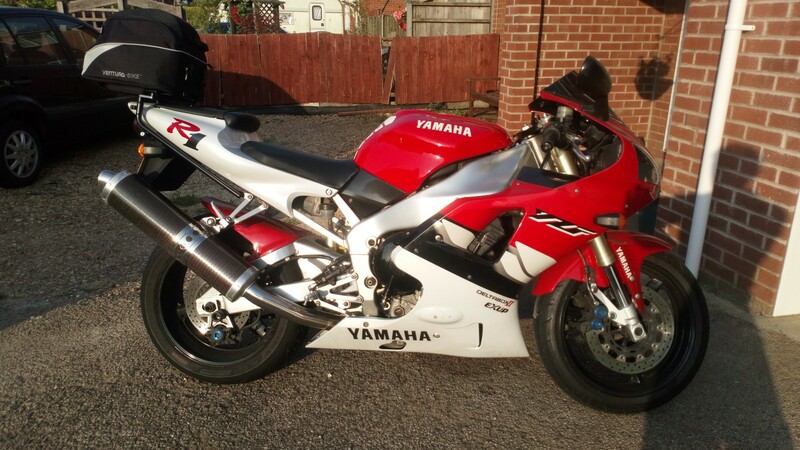 We found earlier designs look too large and unnatural, especially on sportsbikes. 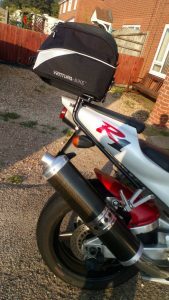 We fitted the rack and bag to our resident early 4XV R1, despite the L-brackets being a special order item from New Zealand, they arrived with 3 weeks, well within half the estimated timeframe. We understand the product is now available to over 2000 different models, includes some classic bikes from the 1970’s! 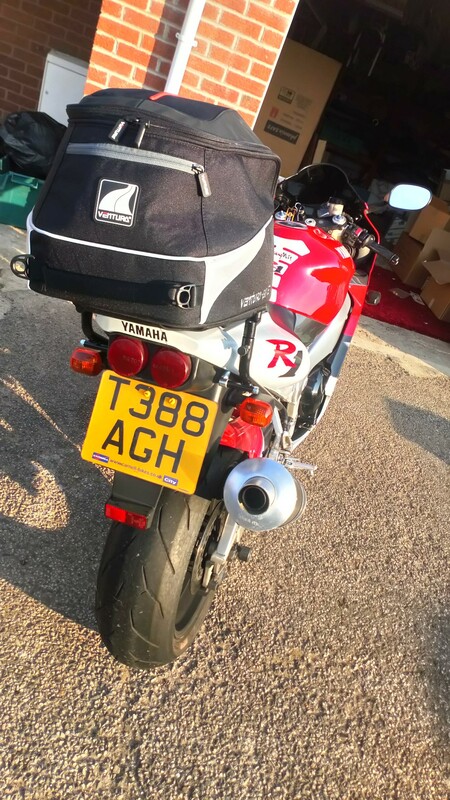 Aesthetically, we think the bag looks great and not out of place on the sporty lines of the R1. Build quality is good and the materials and zips feel like they will withstand the test of time. We’re not a fan of reading instructions (and there weren’t many pictures) so we blindly plodded on regardless, the rack and bag were fitted within approximately 40 minutes (twice the estimated time) regardless we were happy with out efforts and the results, everything fitted as it should and nothing needed fudging. It was pretty easy (even for us) and we only made a couple of small mistakes. We weren’t a fan of soft luggage as we prefer the rigidity hard luggage provides. However, the upright hard plastics inserts within the luggage lining retains the luggage shape at all times and doesn’t allow the sides to ‘sag’. 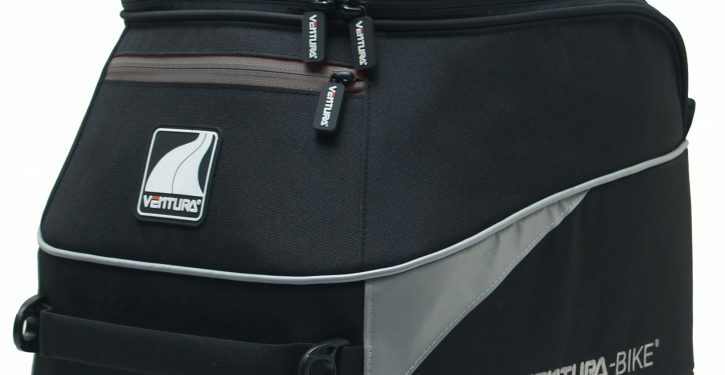 We were also impressed with the innovative pocket built into the base of the bag, it neatly slides onto the rack and is then securely fastened by two securing straps, making it VERY sturdy. 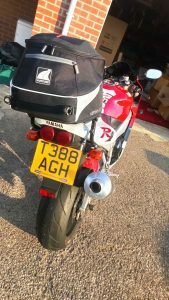 We tested it (on a private road) at speeds up to 100 mph and the bag barely moved. It can also be removed and re-fitted in seconds, a useful carry handle makes it portable too. Approaching £300 for the full kit, it is approaching the top end of the market but this is a quality and well-built soft luggage option, you won’t be disappointed, trust us! 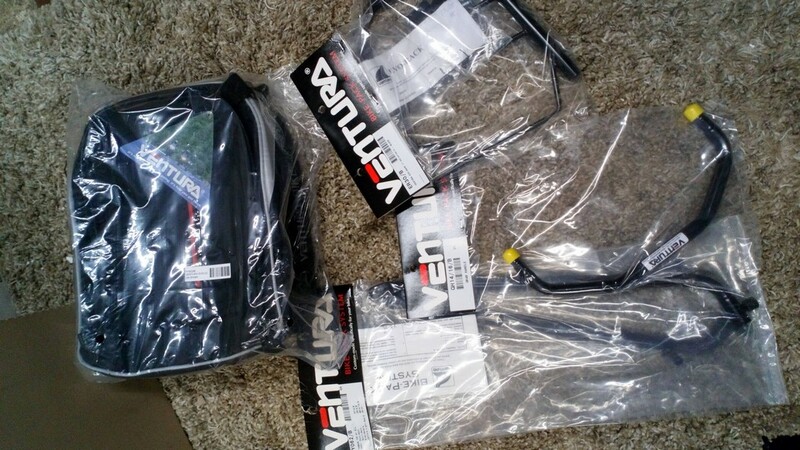 The EVO-22 PACK retails at £130.00 and the EVO-Rack sells for £77.99. 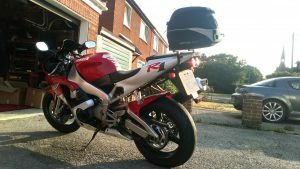 Prices for L-Brackets start at £82.99 and vary according to make/model of motorcycle. 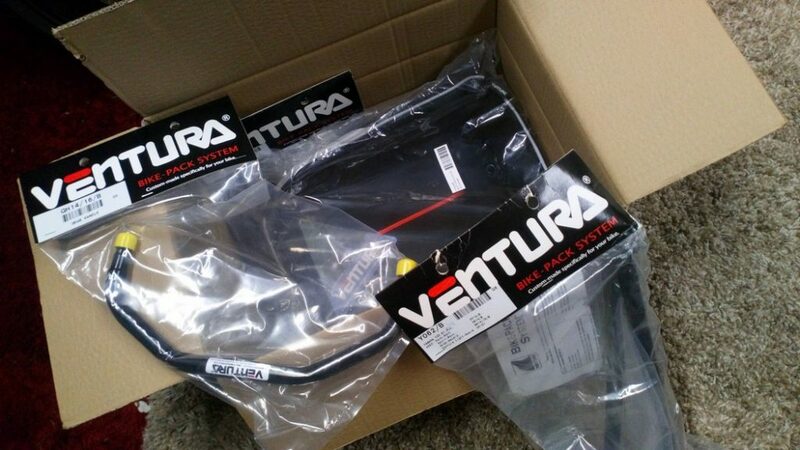 For further details, prices and a full list of pack options, visit www.ventura-bike.co.uk.